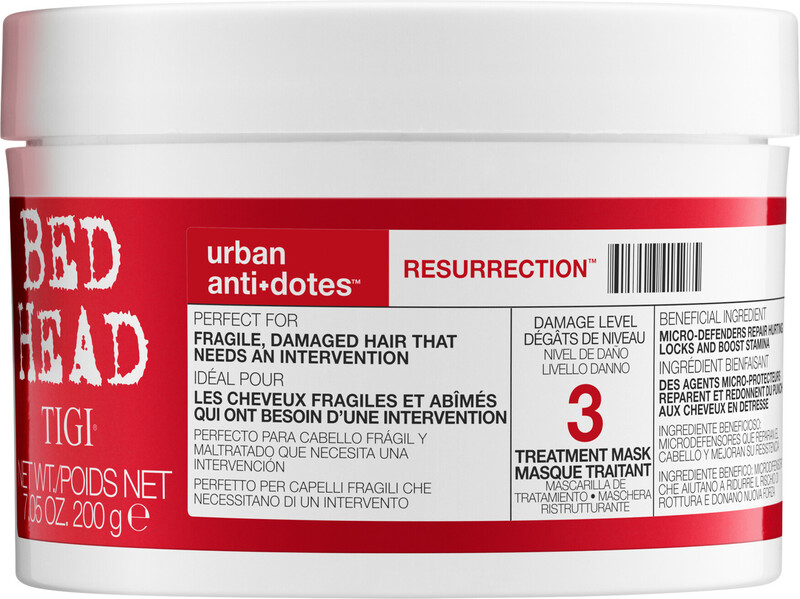 Stage the ultimate hair intervention with the Tigi Bed Head Urban Antidotes Resurrection Treatment Mask, a weekly hair treatment that will bring your hair back to life. This intensive repair treatment is infused with core repair technology that will restore damage caused by chemicals and heat. A blend of glycerin and lactic acid work within the formula to hydrate and smooth the hair follicles, keeping the hair looking nourished and sleek. The perfect remedy for fragile, damaged hair, this restorative treatment will completely transform the look and feel of your hair, banishing frizz, and restoring your hair to its former glory. 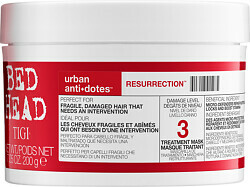 Spread a small amount through the mid-lengths to ends of the hair. Leave for 3-5 minutes then rinse.